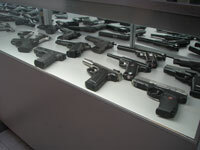 You are more than welcome to bring your own gun to use at our indoor firing range, but if you don't own a gun or just want to try something new we offer a huge selection of firearms for you to rent and use during your visit. 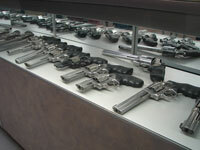 Whether you are interested in trying a gun before you buy it, or you just want to try out something new, we can accommodate your needs. 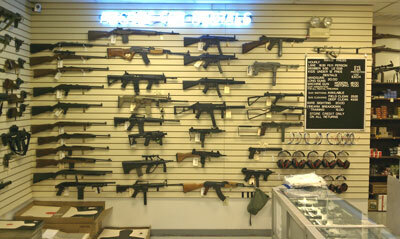 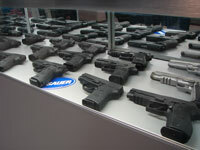 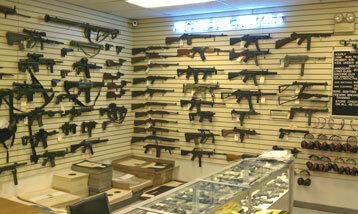 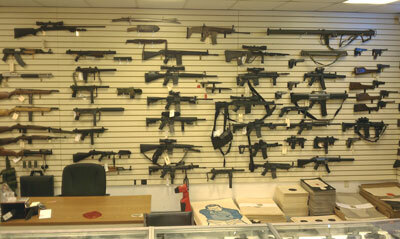 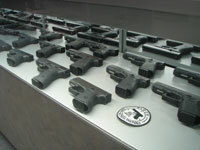 Our rental selection includes Pistols, Revolvers & Rifles ...and yes...Machine guns too.